These braces can be worn with pale chinos or jeans and the colour brown combines a touch of originality with an air of discretion. Our Dandy braces are perfect for striding along the streets of Saint Germain Des Pres in style. These braces will give you a unique look. These braces are 120 cms long and 25 mms wide and team brown elastic straps (82% Polyester and 18% Elastodiene) with a brown leather yoke (100% split leather calfskin) embossed with the words Les Bretelles de Léon. 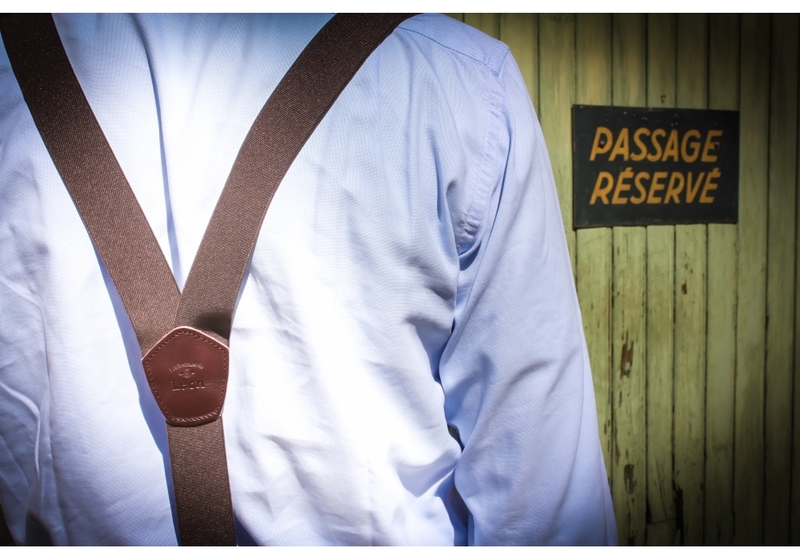 Our brown braces in the Dandy collection come with stainless steel clips with a rubber backing to protect clothes from marks. Feel free to wear these braces with any trouser style.